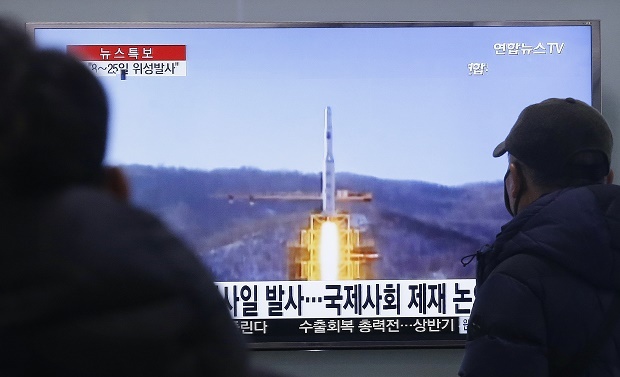 echoed US warnings that North Korea would pay a heavy price if it pushes ahead with a planned rocket launch just weeksafter conducting its fourth nuclear test. week, the government in Seoul said the move would be a serious breach of UN resolutions and a “direct challenge” to the international community. “serious provocation” and clear violation of Pyongyang’s international obligations. window for the launch, ostensibly aimed at putting an Earth observation satellite into orbit. technology, and Tuesday’s announcement saw Pyongyang doubling down against an international community already struggling to come up with a united response to last month’s nuclear test. harsher, more effective sanctions on Pyongyang, was quick to condemn the launch plan. affairs slammed what he called “yet another egregious violation” of UN resolutions. and the international community to impose… tough additional sanctions,” Russel said. take place in the morning with a daily window of 7:00am-midday Pyongyang time (2230-0330 GMT). February 16 of late leader Kim Jong-Il, father of current leader Kim Jong-Un. satellite in orbit on a three-stage Unha-3 rocket in December 2012.
is already divided on how to punish the North for its nuclear test. push for tougher sanctions, but a rocket launch would bolster calls for Beijing to bring its maverick neighbour into line.